I developed a love for travel at a very early age. Throughout my childhood, our family had traveled and camped throughout much of the Midwest. When I was fourteen, I went to German Camp which sparked my interest in culture. At the age of sixteen, my parents allowed me to travel on my own to California to spend the summer with friends. My calling to be a travel consultant went back as far as 8th grade, while living in Brainerd, Minnesota. I would plan family trips to Itasca State Park in the summer each year, coordinating the route, the menu, etc. I graduated from St. Cloud State University in 2006. I have traveled to Mexico and the Caribbean close 30 times over 15 years. My personal favorite destination is Jamaica. Everything about their culture and beaches made me fall in love with it. I work along side with Sandals Resorts, Couples Resorts, Hard Rock Resorts, Majestic Resorts, Beaches Resorts, Dreams Resorts, Secrets Resorts, Karisma Resorts and many more. 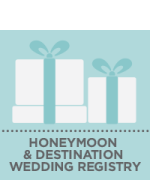 I am a certified Romance Travel Specialist and a Certified Sandals Specialist. Let me help you create the experience you've seen in your dreams. Cassy is extremely easy to work with. She has booked a few trips for us over the years and her service has exceeded our expectations. Cassy is always looking out for our best interest and is always flexible with us. There have been times I have changed dates, destinations, etc and she is always upbeat about it and ready to get the job done. I would highly recommend Cassy as a travel agent! Trained in providing you the most up to date information on beautiful Sandals properties Read more. Cassy talked to us and found out what we were looking for and gave us a manageable amount of options to choose from. We also liked to know that we didn't forget any detail, she took care of everything! We loved working with Cassy because she is extremely easy going, responsive and knowledgeable. We trust her opinion and are happy to let her take on the task of finding travel options for us. Thank you for all your help with planning our amazing get away. It was special in so many ways. This was the view from our room. Simply amazing!